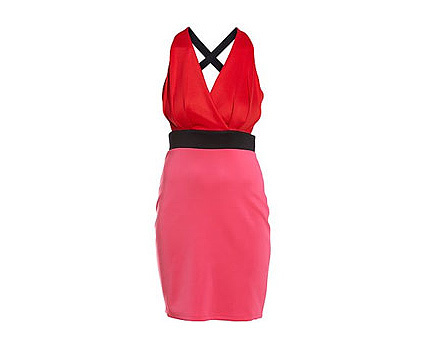 A bright red cross back top and hot pink skirt finished with contrast black cross straps make the best looking party dress. Dress from Lili London. 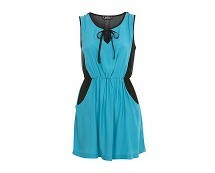 Halter neck chain and removable belt at the waist. Pleats in the top. Contrast material in the skirt. Made of 95% Polyester and 5% Elastane.